pepgamez.com is your number 1 games destination! Get limitless admission to our developing index of over 1600 classic and popular games. With our platform you can play any title you want 24/7. To start playing, simply follow the instructions below. Windows users need to download the latest version of .NET Framework. Click here to download. Most of our games are currently hosted through our Game Launcher for security reasons. To download our games, simply install the Game Launcher and browse our site to download the games of your choice. 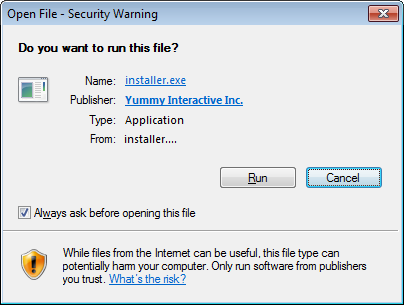 During this process you may be prompted to allow access to yummy.installer.exe (Yummy is the software developer for our Game Launcher). Log in to our site and start browsing and playing games. Safe, secure premier PC games for the entire family to enjoy. All games are downloadable and secure version from leading publishers in the industry. Our streaming process will make the games available to play right away using high speed Internet connection. Our service will allow you to log in from 5 different computer s for the entire family to enjoy at their own leisure. Using our game launcher many games have “Cloud Save” enabled. This means you can access these games from anywhere, using your log in info, without losing your progress. Using our streamed downloads service you will be able to save on your bandwidth allowance and queue numerous games for download.